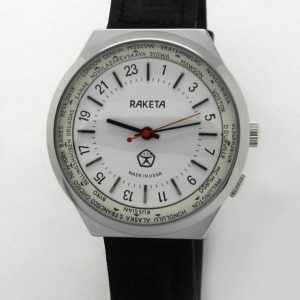 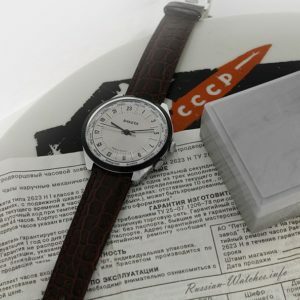 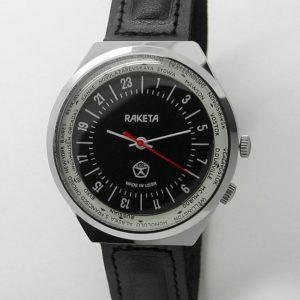 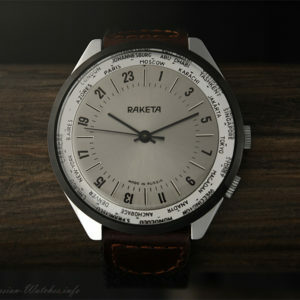 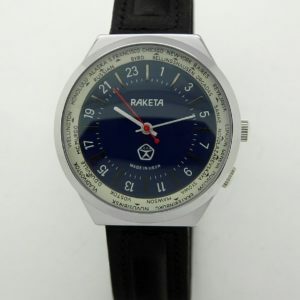 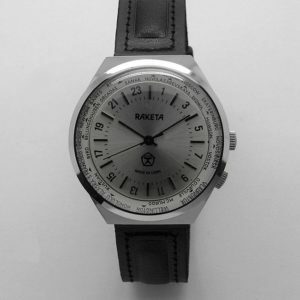 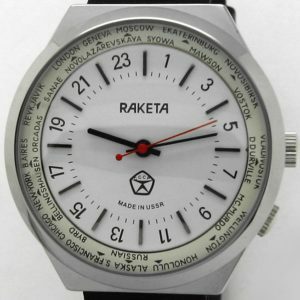 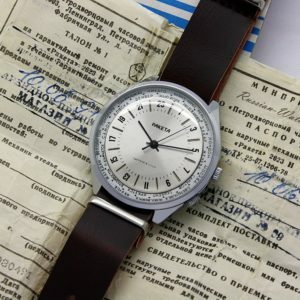 24-hour scale, with a central second hand and shock resistant device, movement Raketa, 19 jewels, with a movable scale to determine the current time in time zones around the world. 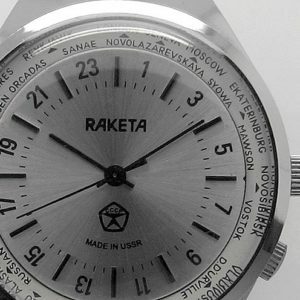 Average daily rate at temperature (20±5)°C: 10 seconds behind, 40 seconds ahead per day. 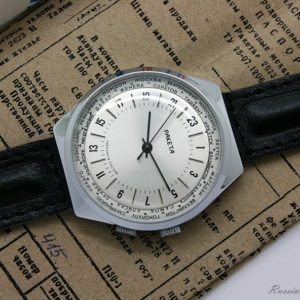 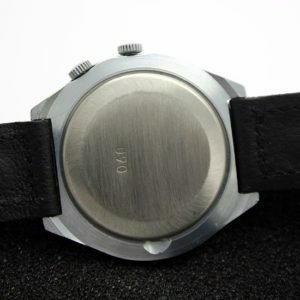 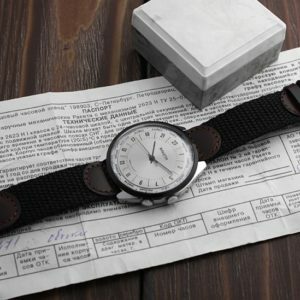 Watch works without winding at least 44 hours.